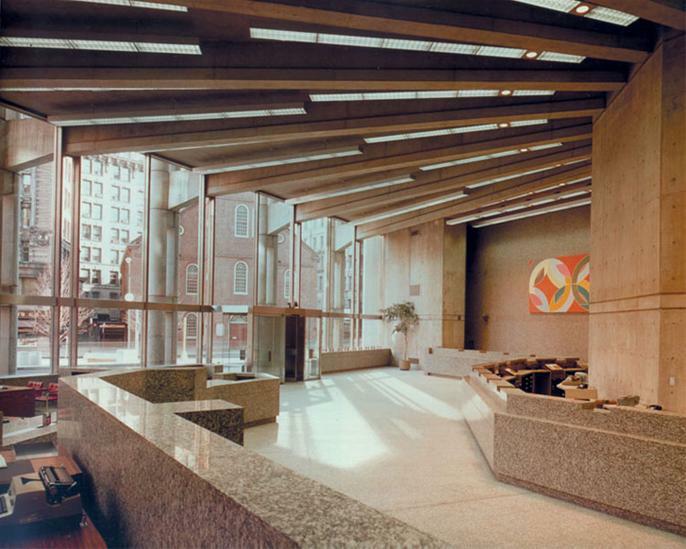 Anyone by chance have photos of the Boston Five building when it was still a bank before it was Borders? A friend's looking. Yes indeed! Kallmann McKinnell & Wood's website has a great one!! I've also been meaning to look up the article in Architectural Forum from 1973 about it.